Building on the huge success of last year, , Beyond the Bean opened up the BTB Barista Bursary again for 2017. 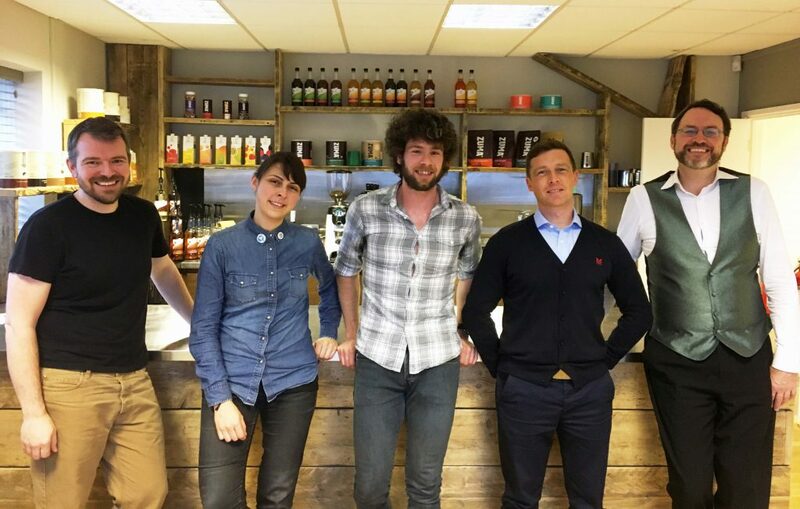 We heard from baristas up and down the country and invited four of the finest to Bristol to meet the judging panel which included last years’ winner Diana Johnston. The calibre of applicants was impressive and the decision was a difficult one for the panel. However a decision was finally made and we are delighted to announce that Darryl Docherty of Dear Green Coffee, Glasgow is the BTB Barista Bursary winner! The BTB Barista Bursary was created to give financial support and advice to one lucky barista throughout the UKBC heats and through to the finals. Applicants were asked to submit a short video showcasing their skills and personality and then four were selected to come to Bristol to meet the judges. After a day of interviewing the judging panel had a very tough task selecting just one barista to back next year. In the end Darryl Docherty was the winner having impressed the judges with his constant drive to develop his skills and Beyond the Bean are very excited to be able to support Darryl next year. The competitions will span over several months from all corners of the UK with a Southern heat hosted by Beyond the Bean in Bristol (on home turf) early next year. Dates will be announced for all of the heats before Christmas so keep an eye on the SCAE website and get the dates in your diary asap.